Joomla is an Open Source Content Management System (CMS) , which allow the users to create or build their own website and applications. Joomla is very popular because of its ease-of-use and extensibility. Step:1 Install the Necessary Packages or Prerequisites Using below Command. 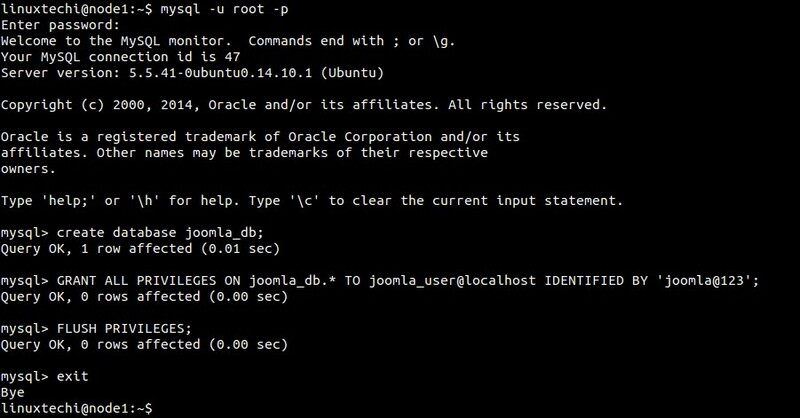 Step:2 Create Database for Joomla and give privilege rights to the User. 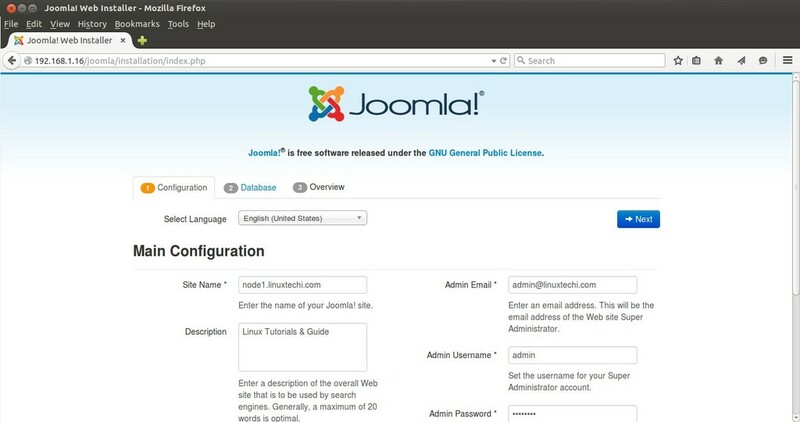 Create a Joomla User as “joomla_user” and grant all the rights on Joomla Database. (joomla_db). Assign the necessary Permission on the Directory . Step: 5 Define the Database type, Host Name, User Name and its Password. Step:6 Select “Blog English Sample Data” and then Click on Install. Step:7 Now Login to Joomla Admin Panel with Credentials set during installation. Found the wget URL redirects to only the upgrade package and not the full one. 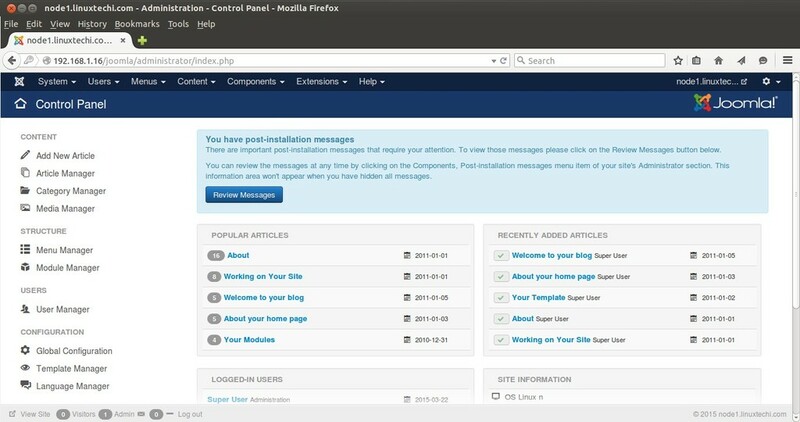 Look at ‘https://downloads.joomla.org/cms/joomla3/3-4-1’ for a better download link.